I have an ongoing love affair with face oils for many years. Our relationship is pretty intense and the few times I strayed to try some exotic face creams, I find myself missing my face oils terribly. 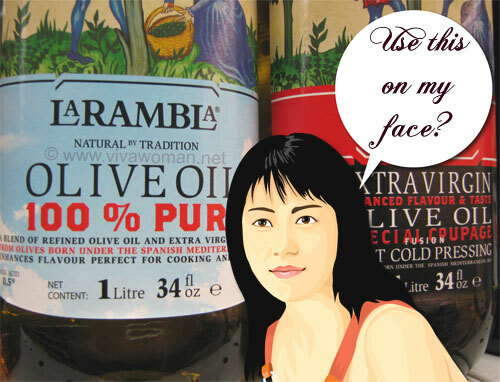 The face oils I like are those that are oft-called botanical oils or plant oils. They include no synthetic preservatives and additives, but are just highly concentrated blends of the most effective anti-aging elixir. 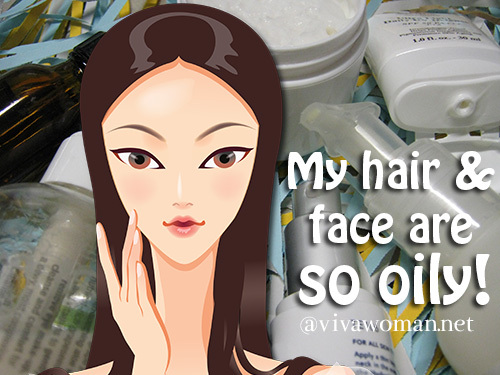 These are unlike synthetic face oil such as those made with mineral oil. Over the years, I have used scores of face oils and am quite game to try new ones but obviously I can’t try all. There are just too many of them and I can’t keep up with them all. Plus, not all of them are suitable for my skin. Still, I can’t deny that pure face oils are good for our skin because of the multitude of benefits they provide—from providing more moisture, preventing wrinkles, to balancing natural oil production and protecting our skin from sun damage. I like using face oils over face creams because oils can penetrate skin better because their small molecular structure; not forgetting many of them contain lots of fatty acids that are essential for healthy, glowy skin. Anyway, I’m been thinking about face oils quite a bit lately and today, I’m going to share some less discussed points about them. 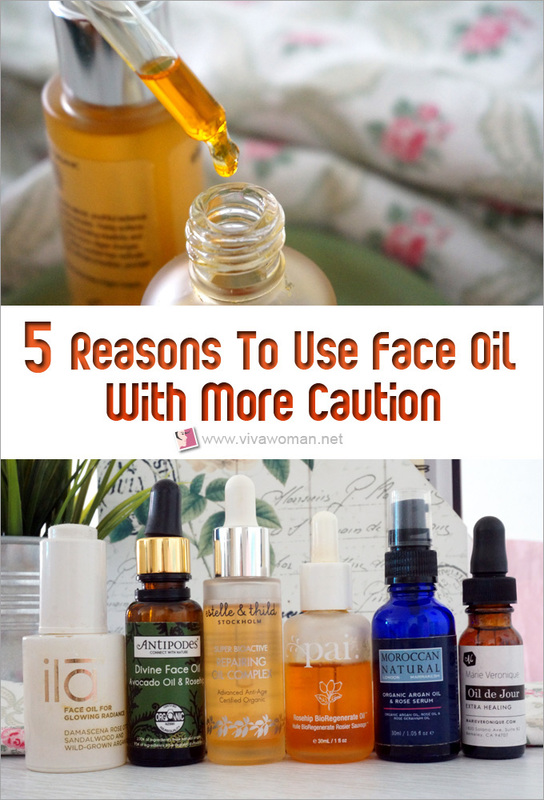 Well, five of them actually and these are pointers that might cause you to use face oil with more caution as well. I have used just face oil and I have also used face oil plus a combination of face serum or cream. What I have found is that face oil alone is not sufficient for my skin. Why? While plant oils contain beneficial properties and are moisturizing on their own, they do not contain all the ingredients necessary to improve specific skin conditions. In my case, I haven’t found oils to be effective in minimizing my pigmentation. I need ingredients like vitamin C, which has to be added to a face serum or cream. Moreover, you may also have noticed that oils are not as hydrating as serums. Another thing to add is that I find that within the family of face oils, a blend of different oils work better than a single oil as the latter might be limited in terms of its benefits. So what I want to say is that while face oils are lovely, they should be viewed as part of a complete skin care routine. Not convinced? Well, take a look at two of my fave natural brands like Marie Veronique and Antipodes. They have very good face oils but they also have other serums in their collection and both oils and serums are recommended to be used together. Enough said. The skin around your eyes is ten times thinner than the skin on your face. So I don’t have to tell you why you need to be more careful about what you use around your eyes. But what I need to tell you is, you may not want to use some oils around your eyes as they can do more harm than good. Some of you may remember reading my warning onÂ not to useÂ castor oil around the eyes. I’d stated that castor oil is too drying as it is an anti-toxin that draws out the impurities deep in our skin. This means that even though castor oil is an oil, it will help with the removal of the other oils because it really sinks deep into the skin pores and draw out the dirt and grime to the surface. As such, it can cause our skin to become too imbalance, devoid of its natural lipids. What do you think can happen if you use it around your eyes? It’ll dry out the already drier skin in that area! Another oil I advise against using around your eyes is rosehip oil. My personal experience tells me that this oil is too rich and can cause milia seeds around the eyes. In fact, it happened twice to me and I wasn’t even applying the oil liberally over my eye area—all I did was pat the oil over my entire face and next thing I knew, a milia popped out on the corner of my eye the next morning! Yikes! There are face oils and there are pore-clogging face oils. A list compiled by The Journal Of The Society Of Cosmetic Chemists shows that the highly popular coconut oil is pore clogging! On a scale of 0 to 5, coconut oil was listed at 4! I’m not sure how accurate this is but going by discussions on different forums, the views are conflicting as well. Hence, my advice is to use this oil with care if you’ve got acne prone skin as it could exacerbate your acne issues. 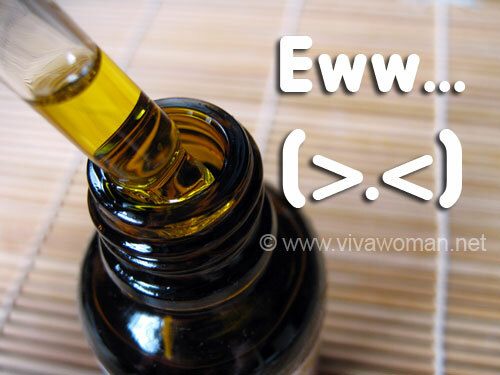 Another oil to avoid is wheat germ oil if your skin has issues with comedogenic ingredients. It is listed as 5 on the list and I have read many gripes over this oil! Other oils that are moderately comedogenic are avocado oil and evening primrose oil. They are listed as 3 on the list. Many of you probably know that high quality face oils are extracted through cold pressed method only. The lower quality ones may be produced using solvent, hexane, or alcohol extraction. However, I’ve bought face oils from different sources and I realized, despite being marketed as “100% pure and natural cold pressed oils”, some of the quality are just questionable. Seriously, how do you know if the face oil you are using is unadulterated? Tom Mueller, an intrepid journalist wrote a scandalously revealing book that 70 percent of the extra virgin olive oil sold is adulterated. Going by this, some of these brands could have gotten their oils from cheap sources (hint: google “bulk carrier oils) and it’ll be hard for us to verify their quality. So what’s your best bet? My suggestion is to get your face oil from quality sources or brands. Read the reviews, dig the web! I also want to highlight emu oil in this discussion. Emu oil isn’t a botanical oil but it is commonly included in face oils. There are many benefits of using emu oil but surprisingly, the number of complaints about this oil is really huge! Some readers have mentioned that the emu oil they used caused their skin to break out—which should not be the case. So I suspect that they might have gotten a low grade emu oil. For those who don’t know, the Emu Oil Trade Rules outline a grading system for emu oil. It recognizes Grade A, Grade B and Grade C. Each of these grades has a use in various industries. Grade A is used for pharmaceutical, cosmetic and dietary supplements. Grade B is used in some cosmetic and industrial applications. Grade C is crude emu oil and suitable for use in hot process soaps or animal feed (source). Again, it’s impossible for us to tell the difference! So your best bet? Get your supplies from reputable company. Because face oils contain essential fatty acids, they are more fragile and prone to quicker rancidity. In addition, oils vary in their ratio and specific EFAs that they contain; I found out sometime ago that the reason why my bottle of grapeseed oil turned rancid so quickly was because this oil has one of the shortest shelf lives at around six to nine months. The same short shelf life is true for rosehip oil. Even almond oil has a short shelf life. Mine usually turns rancid after eight months even though the typical shelf life is said to be a year. Others like borage, carrot, sunflower and evening primrose oil close behind at around 10 to 12 months. And these oils are very susceptible to damage caused by temperature changes. It is therefore not a good idea to buy too many face oils because a bottle takes a few months to be depleted. Also, you need to take special care of such oils in terms of storage. Always store them in a cool, dark place away from direct sunlight. Keep them in an amber or dark glass bottles. You may want to consider adding in vitamin E to extend the shelf life or even use a smaller bottle to store the oil because oxygen that lives in a partially full bottle will react with the oil, causing it to turn rancid quickly. So there. 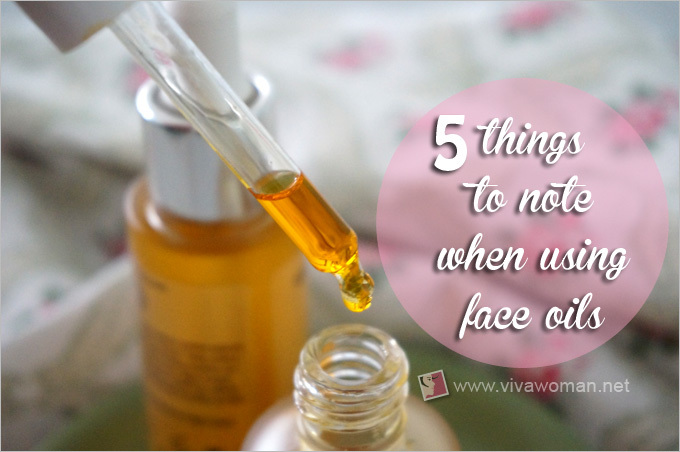 Five things to note about using face oils and why you want to be exercise more caution with them. I’m not trying to scare you off face oils but my intention is to have you realized that while face oils are great, they should be used with care. Also, sometimes spending a bit more buying face oils from a reputable source may be wiser. 10 reasons why your hair and face are dripping with oil 10 Reasons Why Your Face Looks Saggy And Droopy Five reasons why your carrier oil has turned rancid Can you smear cooking oil on your face and body? Previous Post: « Am I in love with Melvita Damask Rose Floral Water? Hi Sesame! You might want to consider YULI Skincare’s Cell Perfecto PM for pigmentation issues, you can check out my in-depth review here: http://www.charmystique.com/2014/07/yuli-skincare-review-cell-perfecto-pm-panacea-elixir-pure-mask.html. Totally agree with you about not using oils, especially nut oils around the eyes. Castor oil also makes my eyelids really red and irritated, so I’ve stopped using it on my face with the exception of my eyebrows. Okay, thanks! I’ll have a look at it. I’ve seen a number of raves from the green bloggers! Excellent post and very true! We have a beautiful Anti-Ageing 100% Natural Face Oil that meets your standards noted above! So glad that we are on the same page! And yes we have a beautiful intensely hydrating serum too! Love it, keep up the excellent posts/blogs. Sesame please send me your address. I would love to send you a free sample of our glorious all natural face oil made with 9 essential oils. You may read more here – http://www.baimeniaustralia.com. We follow your blog and would love to send you a sample of our Natural Everyday Facial Oil (they are age-specific) Please email me your address details and we’d love for you to try it. It has a cult-like following in Australia. I’ve been using grape seed oil and sea buckthorn oil for over 7 years now, and my skin is loving it. Then again I’m living at a higher latitude (Think further up north above of the state of Washington). I just buy the grape seed oil from the grocery store. But I buy the one in a metal bottle. Since it’s not exposed to the sunlight or heat, it’s been able to keep for about a year or so and it still looks vibrant green and smells lovely. If I keep it in a translucent plastic bottle, it does get rancid within months. I’ve been able to use up my oils within a year. A 4oz bottle of sea buck thorn oil lasts me a year. I rarely get outbreaks now, but it could be the combination of cold weather, birth control (I’m on Implanon) and skin care. My daily sunblock now is the Badger balm sensitive skin sun block. It’s super thick when I used it in Singapore, but now in Alaska, I use it daily on my face!! We get a lot of wind and it dries out our skin pretty quickly so the sunblock is like a shield against the wind and sun (yes, we do get sun. Not as much as SG, but still can cause skin cancer. Some of the Alaskan native Indians have been diagnosed with skin cancer). When we do get sun, it’s bright. OMG what is that in the sky!! I still use the MVO sunblock, but only on the weekends now (due to cost), and I also noticed its a lot more drying on my skin. If I use MVO, I always ensure I put extra drops of grape seed oil on my face before applying sunblock. Also, I’ve been adding a drop of pure lavender essential oil to the mix. It’s been calming on my skin, and when I do get the occasional break out, I just rub a little on it and I rub a little more grape seed oil over it and apply sunblock. It clears it within a few days. The winds here are harsh… Seriously. I always keep a tube of badger sunblock with me at all times. If I know I’ll be out on the water on a boat, I just slather it on my face and nose. I don’t even need a mirror and I don’t even care if I look like a clown. The wind will really strip the hell out of your skin. Depending on the race mix in a person, but most of them have greasy skin (they call it Tlingit or native skin) where they produce a lot of sebum to protect the skin from the environment. Anyway, since I grew up in Singapore, my skin doesn’t produce much sebum because of the humidity and heat. But once I moved here, I realized it was a problem. One time I skipped my heavy moisturizers and my skin started hurting and peeling within a few days. Horrible!! The badger sunblock is the only one heavy duty enough to protect my skin from drying out. And since I wear it daily, my skin doesn’t ever see the sun. So now, as my friends joke, I’m whiter than a white person. I have read your all the article and the writer mention so nice suggestions about the skin! Harriet last post is: FAQ : Why is coconut oil good for skin ? There are a lot of pimples on my skin and i already use many products but could not effective. Is this productive are beneficial for me ?